Byfield, Natalie P. 2014. 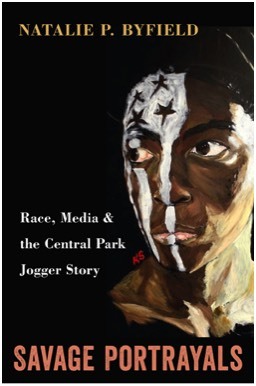 Savage Portrayals: Race, Media & the Central Park Jogger Story. Philadelphia, PA: Temple University Press. Byfield, Natalie. The Significance of Writing Methodologies When Teaching Writing in the Discipline. Teaching Sociology. (Revise and Resubmit). Byfield, Natalie P. [Forthcoming]. “Modern Newspapers and the Formation of White Racial Group Consciousness,” in Wonkeryor, Edward Lama (Ed.). Dimensions of Racism in Advertising: From Slavery to the 21st Century. New York, NY: Peter Lang Publisher.